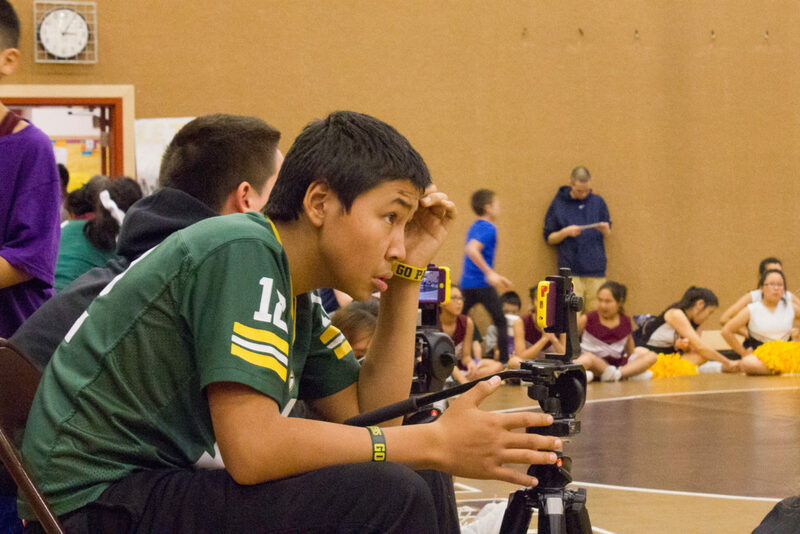 This month’s episode of Dearest Alaska joins the BSSD Student Broadcast Team during the Elementary/Junior High Wrestling and Cheerleading Tournament in Unalakleet. Hear all about the opportunity to delve into multimedia production provided by this program — and why student broadcasters Alukka and Mason think you should join — by clicking the media player on this page starting on Dec. 4. Or, listen to the show, live, on Saturday and Sunday, Dec. 2 and 3, during the 12pm and 5pm hours each day. You can learn more about the BSSD Student Broadcast Team here, follow their Facebook page for updates here, and see their upcoming video streams here. Image at top: Photo: Karen Trop/KNOM.